Increase your entertainment square footage with the "Wolcott" Pergola Project by Leisure Select! This pergola project increased the size of this patio (see pictures), adding more space for this homeowner to entertain guests and relax with family members. 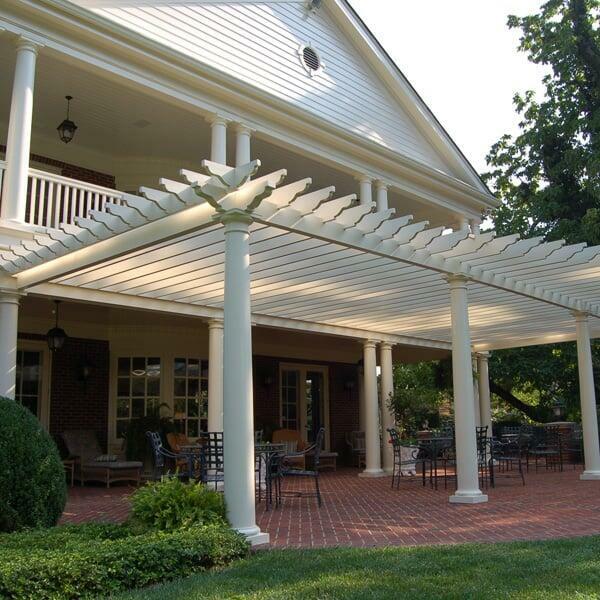 Are you concerned that this particular pergola would not match your home's exterior? You can completely customize our pergolas, picking and choosing styles, shapes and colors for the wood to match any home's style. A great addition to any backyard, this pergola project acts like an Outdoor Room, giving you an open and airy space to chat with guests or bond with the family. Notice the differently-sized pergola slabs in the pictures; the homeowners hand-picked this feature as a special style accent. 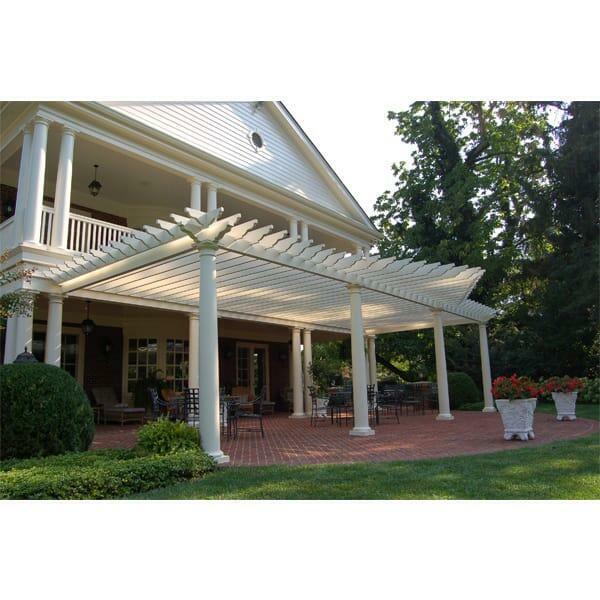 Add the perfect pergola and transform your porch or patio! 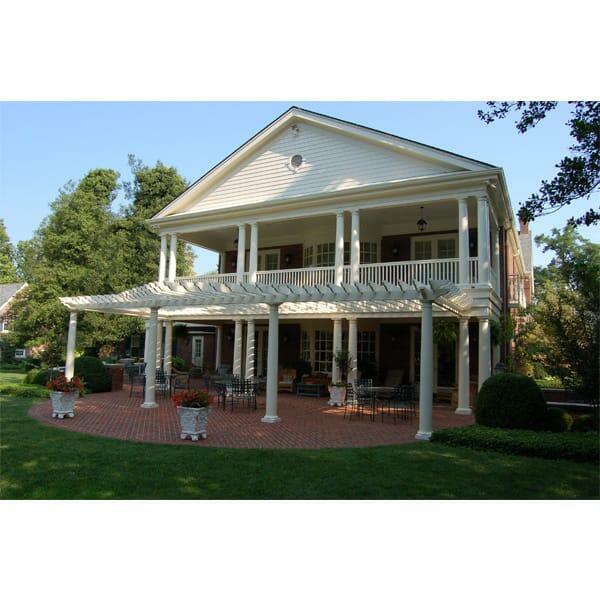 Contact us today and ask about the "Wolcott" Pergola Project by Leisure Select!